Home » Latest News » Charity launches innovative #powerof657 campaign to deliver 657 ‘Muscle Dream’ experiences – one for each muscle in the human body! Charity launches innovative #powerof657 campaign to deliver 657 ‘Muscle Dream’ experiences – one for each muscle in the human body! The Muscle Help Foundation (MHF), the specialist family charity that delivers life-changing, highly personalised experiences for children and young people in the UK with Muscular Dystrophy (MD) and allied neuromuscular conditions, has launched its #powerof657 campaign to broaden its reach and raise awareness of the charity’s work. This initiative was made possible through a grant of nearly £10,000 from the Big Lottery Fund (BLF). 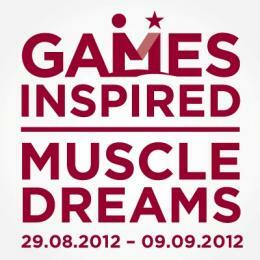 The title refers to the charity’s aim to deliver a total of 657 transformational experiences or ‘Muscle Dreams’. 657 represents the approximate number of muscles in the human body and also reinforces the project’s key aim to reach more people across the country, by demonstrating the powerful effect that Muscle Dreams have on those with MD and their families. CLICK the screen below to go to the #powerof657 campaign page. HOW can people get involved in the #powerof657? #powerof657 campaign empowers the donor, from an online donation of £6.57 to creating your own fundraising event, the choices are endless! One key example is the ‘6:57 Meal Challenge’ which involves cooking a meal (omelettes don’t count!) in 6mins and 57secs; once the food hits the plate, guests donate £6.57 (if they enjoyed your omelette)!  Alternatively, friends can sponsor you to undertake the ‘657 Running Challenge’ is a 5km run of London’s 657 bus route from Woodford to Waltham Forest. For those who are social media savvy, how about posting an early morning ‘657 Selfie’ pic at 6:57am! The campaign is also expected to attract new fundraising opportunities and donations in support of MHF’s work. The charity is already experiencing a backlog of Muscle Dream applications and is in desperate need of additional funding, not only to help clear the current waiting list, but also to help deliver new nominations. MHF’s CEO, Michael McGrath, was himself diagnosed with MD at the age of 18yrs. The driving force of MHF, he is the first disabled person in the world to have successfully led expeditions to both the North (April 2002) and South Poles (January 2004). He said of the #powerof657 campaign: “For our beneficiaries, it’s not just about the experience, but about those connections with mums and dads. #powerof657 provides a unique platform, a shared purpose in enabling more beneficiaries and their families to hear about our work, but it’s my hope that it will also give people a sense of causal engagement and immediacy in wanting to support, as time for many of our beneficiaries is so incredibly precious. We have delivered 188 Muscle Dreams with 469 until our target is reached! That’s the #powerof657 – it focuses the mind, shows the journey ahead and invites the opportunity to support.